In terms of treatment for OCD symptoms, prescription psychiatric medication is one of the preferred methods, especially when combined with psychological or psychiatric support and treatment. As OCD is believed to be the result of chemical imbalances in the brain, OCD medication is designed to rectify this. Most types of OCD medication fall into the category of antidepressants. This allows the depression that tends to plague OCD sufferers (as a result of the often extremely frightening symptoms of OCD, and the debilitating effects that the disorder can have) to be treated using the same medication. However, not all antidepressants will have much of an effect on OCD symptoms. How Effective is OCD Medication? As a form of treatment for OCD symptoms, anti-obsessional medication is generally effective in controlling OCD. Around sixty per cent of OCD sufferers benefit from taking OCD medication, although it can take up to twelve weeks (or longer) to have any noticeable effects. What type of OCD Medication is Available? Other drugs have shown promising signs of being able to treat OCD, but these are the six drugs that have been used in carefully controlled experiments. Drugs such as Venlafaxine (Effexor) have yet to be used in full-scale trials. High doses of anti-obsessional medication are often needed to have a significant effect on OCD symptoms, and these tend to produce unwelcome side effects. Possible side effects include sickness, diarrhoea, headaches, insomnia and sexual dysfunction. Most patients will have at least one of these side effects. These are often only temporary and can disappear after a few weeks of beginning the medication. If you start to experience side effects, these can sometimes be removed by slightly altering the dosage or taking the medication at a different time. You should raise this with your GP, as he or she can advise on the best course of action. These types of medication will rarely be prescribed as the sole form of medication for OCD. They can be prescribed on a low dosage to work alongside the types of anti-obsessional medication listed above. This is usually only done when several types of anti-obsessional medication has been tried without success. Side effects can include stiffness in the limbs and slurred speech, but both of these can be counteracted by further medication. 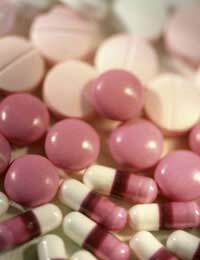 Many OCD sufferers find OCD medication to be useful or even necessary in controlling OCD symptoms. As anti-obsessional OCD medication works to change the chemical make-up of the brain that is thought to cause OCD, it can dramatically reduce the intensity of OCD obsessions and compulsions, which allows many OCD sufferers to live a happier life. Although it can have significant benefits for OCD sufferers, OCD medication is not without potential side effects, as is the case with most types of medication. OCD medication is often combined with psychological and psychiatric support and treatment so that OCD symptoms can be dealt with, as well as controlled. I was on Zoloft for OCD and due to some side effects and recurring symptoms, my doctor started me on Viibryd 2 weeks ago while weaning me off the Zoloft .I started with the package that goes from 10 mg to 40mg. I'm now on my third day of 40 mg. Haven't had much relief yet. Is it still too early? Any experience with this med for OCD?Also, my OCD symptoms start to kick in 2 hours after I wake up in the morning and get progressively worse throughout the day. Any thoughts?? ?Cheers!